Save Big - Red Hot Summer Rebates! Offer expires August 31, 2015. Purchase one of the new (unused and not previously warranty registered qualifying 2015 models and older) between 7/20/2015 and 8/31/2015 and receive an Instant Rebate off the participating dealer's retail price ranging from $500 to $1000 depending on the model purchased. Rebates end August 31, 2015. This promotion cannot be used in conjunction with any other G3 offer. This promotion is void where prohibited by law. Promotion valid in U.S. and Canada. Some optional equipment shown in some photographs. No model substitutions or rain checks. Not redeemable for cash. G3 reserves the right to change or cancel this promotion at any time. Visit Jones Bros Marine for details. ©2015 Yamaha Motor Corporation, USA. This entry was posted in News & Events on August 6, 2015 by Jones Bros Marine. New Paradise Pad Inventory - Available Now! 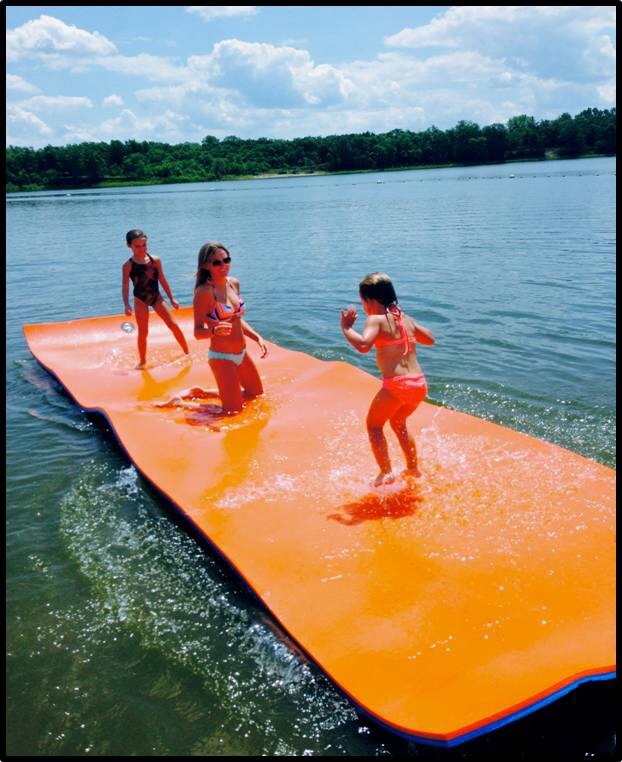 ParadisePad is a revolutionary foam water pad built to withstand between 1,450-1,800 pounds! Whether you need a durable raft or a roomy water pad to relax on the lake with friends and family, ParadisePad is the perfect solution for anyone who loves to be on the water! Stop by and check out our new inventory of ParadisePads, the perfect accessory for your family and friends at the lake this holiday weekend. Call 660-747-0388 for current pricing and sizes. This entry was posted in News & Events on July 1, 2015 by Jones Bros Marine. CENTERVIEW, MO – Jones Bros Marine has recently announced the launch of their new user-friendly and mobile-friendly website – jonesbrosmarine.com. The new website is loaded with features and functionality to provide a great experience for boat and accessory buyers. Jones Bros Marine’s new website features Jones Bros new and used boat inventory; photos and information about their boats, parts, services, and accessories; a News & Events feed; quick and easy Email Newsletter sign-up; site search functionality; downloadable financing application; and much more. The new and improved Jones Bros Marine website also has a Product Compare feature, allowing users to view photos and specs of multiple boats side by side, enabling them to find the perfect boat for them and their families. To see the new Jones Bros Marine website and browse their huge selection of new and used pontoons, deck boats, and fishing boats, visit jonesbrosmarine.com. Located just west of Warrensburg on Highway 50, Jones Bros Marine is the premier boat dealer in West Central Missouri and the Greater Kansas City area. Jones Bros Marine is an authorized dealer for Cypress Cay and Suncatcher pontoons, Huricane Deck Boats and G3 fishing boats. Jones Bros offers new and used boats, parts and accessories, installation, service, maintenance and repair for boats and motors. This entry was posted in News & Events on May 27, 2015 by Callis. Be sure to Like and share our new Facebook page so you and your friends don’t miss out on our news, exciting specials, new boat inventory, and more. Click Here to Like our new Facebook page. This entry was posted in News & Events on April 22, 2015 by Callis. You’re Invited to our Customer Appreciation Open House! Friday 4/17 8:00 a.m. - 7:00 p.m.
Saturday 4/18 8:00 a.m. - 5:00 p.m.
Sunday 4/19 noon - 4:00 p.m.
See all the newest brands and styles available. And get amazing, special pricing on all Marine Accessories! This entry was posted in News & Events on April 8, 2015 by Callis.